Plaza Inn Update. . . Here's an update on development plans for the Plaza Inn here in Dallas. I applaud up-scale developers Larry and Ted Hamilton for pursuing this important project. The Hamilton's haven't always been supporters of permanent supportive housing (PSH). But fact-finding trips to Los Angeles and Seattle, coupled with a good deal of private research, convinced them that PSH can change the face of challenged parts of a city like Dallas. Homeless people need to be offered a place to live, a place to call "home," rather than just a temporary place to sleep a night at a time. Thanks to the Hamiltons for leading the way in Dallas! Okay, so you learn something new every day, right? 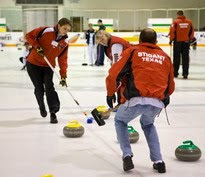 Little did I know there was a DFW Curling Association until I received this link from my friend, Don Kleppe (they call him "Dan" in the video clip, but it is really Don!). Curling looks like a "community" game. Must be okay, if Kleppe is into it--weird, but definitely okay! Can you believe there were lots of Metroplex viewers for the competition last week, and that, in the wee hours of the morning! I've pointed readers to Heron Dance often since beginning this blog. I love the publication because it underscores the impossibility of life without art. Or, if not the impossibility, certainly the tragedy of attempting to live life without the power, emotion and soul of art. I'm learning that all worthy endeavors result from a place best understood by the canons and dimensions of the artistic. Whether building a building, crafting a healthy organization, organizing a community or working on an essential relationship, the spirit of art must be present for success to be realized. The one universal ever-operating law throughout has been the law of change. Nature never stands still and never duplicates herself. Life is always in the process of becoming something else. Bob Dylan, in the documentary Martin Scorsese made of his life and music (No Direction Home), says that an artist always has to be in the process of becoming. 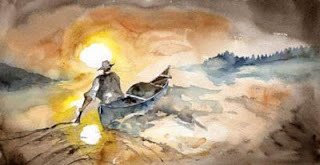 Once an artist has arrived, is no longer evolving, he or she has run out of the juice that makes their art worthwhile. An artist needs to be exploring change, exploring the edges of his or her comfort zone, the edges of some imaginary world where dark confronts light, where scariness and beauty mingle, where demons and gods dance. I don’t do HERON DANCE to shake people up, to upset people. I’d rather be controversial than boring, but I’m not controversial for the sake of being controversial. I’ve embarked on this journey in life. I’ve taken risks—hopefully not too many foolish ones—but I know that I’m going to stumble and get shaken up and hurt. I don’t do it with the intention of getting hurt, but I know I will. It’s a given. People who come along with me might bump up against things they’d rather not bump up against, but that’s just the way it is when you explore the possibilities of life. A full, alive, adventurous life is a life lived as a creative endeavor. Creative endeavors evolve. HERON DANCE was different fifteen years ago than it was ten years ago, and was different a year ago than it is now, and will be different again a year from now. It has gone through brief periods of homeostasis—generally periods when I was overwhelmed by the administrative aspects of what we do here—but they’ve tended to be brief and followed by periods of dramatic change. If HERON DANCE goes through a prolonged period of sameness, I hope I’ll have the courage to dig a hole and bury it. I offer these thoughts partly in response to the emails and phone calls we’ve received from people who don’t like our recent changes. I’ve gotten letters like that ever since I started HERON DANCE. We’ve lost some subscribers as a result of our changes over the last fifteen years, but I’ve not let it bother me. On some journeys there are advantages to traveling fast and light, and there are advantages to not getting too bogged down with what others think. People who want to live safe, secure lives within narrowly defined limits have got a huge array of books, TV shows and commercials and other places to turn to that will reassure them that they’ve made the right decisions in life. The places and people and bureaucracies and groups and organizations, and all others who see the world in black and white, who have all the answers, who are afraid of life, don’t need HERON DANCE. Or if they do, they are not aware of it and I’m not in the conversion business. I’d rather offer support and encouragement to those who do decide to embark on the journey, on the lonely exploration of inner worlds, on the trek out along the scary boundaries of life. The people—the seekers I meet on the trail whom I’ve never met before and may not ever meet again—together we build a fire and share a meal and a bottle of wine, and tell of what we’ve learned in life. Some of those impressions are shared, and some are divergent, and when we hug and part, it is the divergent views that we’re both richer for. And sometimes, just sometimes, we don’t part ways, but stay in each other’s lives, and if we come to love each other, we add a whole new understanding of what it means to be truly alive. And disrupt them, and charge them full with the charge of the soul. So, who's really made a "deal with the Devil" in impoverish, oppressed Haiti? Shortly after the terrible Haitian earthquake, TV evangelist Pat Robertson declared that Haiti "had made a deal with the Devil." To read my post regarding his absurd commentary go here. Earlier this week I discovered in an AP report published in The Dallas Morning News (Monday, February 22, 2010) that, in fact, a deal has been struck with the Devil in Haiti. Trouble is Rev. Robertson, the Haitian people stand in the role of victims of the deal rather than partners. "Jordanie Pinquie Rebecca leans forward and guides a piece of suit-jacket wool and its silky lining into a sewing machine, where they're bound together to be hemmed. If she does this for eight hours, she will earn $3.09. Her boss will ship the pinstriped suit she helped make to the United States, tariff-free. There a shopper will buy it from Jos. A. Bank Clothiers for $550." Political leaders and economists argue today that the garment assembly industry could be the way out of extreme poverty for the beleagured island nation. At the same time, everyone agrees that wages in Haiti in this sector and all others are far, far below a level that could lift anyone from poverty. At the same time, unemployment in Haiti before the earthquake stood somewhere between 60 and 80%--so extreme as to defy careful or accurate measures. Welcome to the reality of unchecked capitalism in which markets function as the new agents of colonialism and imposed, systemic poverty for the benefit of the non-poor nations who masquerade as legitimate trading partners. So, who made "a deal with the Devil"? I'm thinking it was not people like Jordanie Pinquie Rebecca and her family. No, the deal's much closer to home. You can read about it on the clothing labels in my overly-stuffed clothes closet. You can find it described in the annual shareholders' reports that direct our eyes only toward the bottom line and away from the misery of those who support the system that pays us rich profits and dividends beyond anything fair, just or reasonable. Now listen, you rich people, weep and wail because of the misery that is coming upon you. Your wealth has rotted, and moths have eaten your clothes. Your gold and silver are corroded. Their corrosion will testify against you and eat your flesh like fire. You have hoarded wealth in the last days. Look! The wages you failed to pay the workmen who [made your clothes and] mowed your fields are crying out against you. The cries of the harvesters [and the tailors] have reached the ears of the Lord Almighty. You have lived on earth in luxury and self-indulgence. You have fattened yourselves in the day of slaughter. You have condemned and murdered innocent men, who were not opposing you. In Texas, 1.3 million people experience hunger daily. Almost 15% of our residents are hungry and food insecure. Texas experiences the highest food insecurity rate among children in the nation. Many of the 3 million children who participate in the free lunch program in our public schools go without a meal on the weekends and when school is closed during the summer and on holidays and school breaks. Facts reported at a recent Dallas Women's Foundation forum. . .
Texas low-income households pay more in state/local taxes as a share of their income than do the rest of us. Texas operates the 5th most regressive tax system in the United States. Low per-capita state taxes (49th in the nation) limit Texas' ability to draw down federal dollars for health care, child care and many other human services. Households earning below $27,088 use 12.4% of their income on taxes. Households earning over $117,899 use 4.9% of their income on taxes. Medicaid in Texas covers only 1 out of 8 low-income working age women (2008). Texas doctors accept new Medicaid patients at these rates: OB/GYN: 42%; Pediatrics: 42%; Family Medicine: 30%--shortage of doctors to serve the poor challenges the state and public health. 90% of direct care workers in the US are women. In Texas, home care aides earned $7.05 an hour and home health aides earned $8.03 an hour (2008). Public school spending/investment per pupil in Texas: $8,307. Texas ranks 50th in percent of females age 25+ with at least high school diploma. Texas school finance challenge is not just one of equity, but adequacy--2006 cut in property taxes created a $9 billion loss each biennium. Tuition increases in major Texas universities from 2003 to 2008 average 71%. Texas child care workers earn$7.82 per hour--41st in the US (2008). Texas ranks 46th in child care funding for low-income children. I keep running across really disheartening statistics about the status of public benefits for low-income Texas children and families. Out of over 300,000 eligible Dallas area children, < 9% receive the benefits of the Texas Summer Lunch Program. Only 41% of eligible families receive the benefits afforded by SNAP (the Texas Food Stamp program). But, bad policy also turns out to be really bad business for Texas and for Dallas, as well. Vendors prepare and sell those summer meals, putting money into our local economy, creating jobs and supporting business services. Dallas County loses an estimated $500,000,000 annually in retail groceries sales because of our inability or unwillingness to register everyone who is eligible for SNAP, funds lost to local businesses. Bad, unconcerned policy translates to terrible business outcomes. When will we wake up in Texas and make sure that Texas tax dollars stay or return to Texas in ways that benefit those in need of a lift, as well as those driving our local economy. What affects one sector, affects all sectors. Best interview ever. . .
About two weeks ago, thanks to the work of Shawn Williams of Dallas South News, I was interviewed by one of Mr. Williams' "Junior Reporters" who is involved in our After School Academy. The experience of putting together an interview for broadcast provided this team of crack, young, budding journalists a real life experience that most children never have. I enjoyed my visit with Ishmael. The video below focuses on his prepartion for our conversation. What a great young man! What follows is a report on a propsed affordable housing development in Frisco, Texas, a far North Dallas suburban and one of the most affluent communities in the nation. The report describes a plan to open up living options to low-income persons. The reaction of a rather large number of Frisco citizens is interesting, but not too surprising to me. In a first of its kind effort, Frisco is helping developers build affordable housing with money from a nonprofit in Dallas. The catch: The partnership with Inclusive Communities Project Inc. requires some of the low-income apartments be available first to certain Dallas Housing Authority clients with Section 8 vouchers. That has some people in this affluent suburb concerned. "How does this help residents of Frisco?" asked Mark Walsh, who raised concerns in an e-mail to his neighbors. "It's helping Dallas Housing Authority people to move to Frisco." Betsy Julian, president of the nonprofit, said Dallas residents want what everyone wants: attractive communities with amenities, good schools and low crime rates. Frisco fits that bill. "Our mission is to promote healthy inclusive communities, and if there's no affordable housing, it's not an inclusive community," she said. The two apartment complexes proposed on vacant lots in Frisco are dependent on acceptance into the state's Housing Tax Credit program. The competitive program provides federal tax incentives for developments with rents at below-market rates. Developers in the Dallas region have applied for more than $92 million in tax credits for 60 projects. The state has about $10 million available for the region this year. What would it be like to live in a community with continual awareness that you and yours were regarded as "a real problem"? The following press release hit the news this past week as First Lady Michelle Obama announced her "Let's Move" initiative to combat childhood obesity. Our friend, Indra Nooyi, PepsiCo chairman and chief executive officer, threw the support of her international corporation behind the effort. Here's the beginning of the release to media from PepsiCo. Note especially the numbered paragraph #1 that mentions our joint endeavor this past summer with PepsiCo here in Dallas. PURCHASE, N.Y., Feb. 9 /PRNewswire-FirstCall/ -- PepsiCo, Inc. (NYSE: PEP), one of the world's largest food and beverage companies, today expressed its commitment to the White House's "Let's Move" initiative to combat childhood obesity – and announced a new beverage labeling plan in support of the initiative. To help consumers manage their calorie consumption, PepsiCo will list calorie content on the front of its beverage containers, vending machines and fountain equipment by the end of 2012. Packages up to 20 ounces will be labeled with total calories and multi-serve containers will be labeled with calories-per-serving based on 12-ounce servings. "We applaud the effort being led by First Lady Michelle Obama to address obesity in the United States and believe that her 'Let's Move' campaign can add significant momentum and leadership to many efforts underway," said Indra Nooyi, PepsiCo chairman and chief executive officer. "We have learned over the years there is no silver bullet to solve obesity. No single entity can do it alone. We need a guiding coalition in which individuals, companies, health agencies, consumer groups and governments all take on their appropriate responsibilities. Major food companies such as PepsiCo are in a unique position to be leaders in health and wellness because of our resources, brands, research and development capabilities, consumer reach and logistics expertise." PepsiCo's belief in the power of public-private partnerships to help reduce obesity in the United States led to its partnership in the Healthy Weight Commitment Foundation (HWCF). The HWCF involves the collaboration of more than 60 members of the food and beverage industry, retailers and diverse non-governmental organizations. The group provides and promotes solutions that will help people, especially children, achieve a healthy weight by balancing the calories they consume with the calories they burn. The HWCF's efforts will provide people with the tools to achieve energy balance in three key areas: the marketplace, the workplace and schools. Last year, PepsiCo launched "PepsiCo Hope" to help transform inner-city communities by increasing access to affordable nutrition and creating local employment in inner-city neighborhoods. Initiated by PepsiCo employees in Dallas, the program piloted an innovative mobile delivery model that brought over 50,000 free nutritious breakfasts and snacks directly to underserved children in Dallas. With the help of more than 150 PepsiCo volunteers, the program was developed in partnership with Central Dallas Ministries as part of the Department of Agriculture's Summer Foodservice Program. PepsiCo plans to significantly expand its capabilities in Dallas in 2010 and is exploring opportunities for national expansion while sharing what it has learned with other cities across the country. PepsiCo Hope is also beginning to tackle another chronic challenge identified by the local residents: improving access to fruits and vegetables. To read the entire repot click here. Over the past 16 years, I've been involved in hundreds of conver-sations with people who don't enjoy the benefit of many material resources. In other words, my friends don't have much money, have never had much money and most likely most will not have much money throughout their lives. 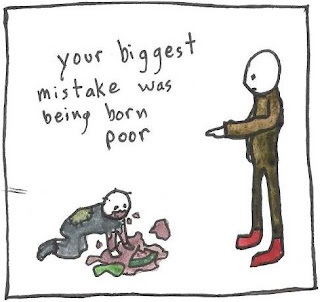 "Poor" people don't have money. Money aside, poor folks share many things in common with people who do enjoy the benefits, privilege and power that money supplies. Poor people like books, movies, art, music, performance and various expressions of culture. Poor people aspire to decent housing that also provides the reasonable benefit of being affordable, as in using up only a fair proportion of their available finances. Poor folks appreciate nice things and this is especially true when it comes to housing stock. Many with whom I've talked across the years also appreciate perservation. They dream of and are excited when restoration of their properties takes place. Poor people care about the education of their children. Like parents with material resources, most all of my lower income friends want to see their chiildren experience more and better than they have when it comes to formal education. Poor people wonder and worry about their health and their health care options. They express real concerns for the health and well-being of their children. Poor people desire good food and good food choices, even though most of the time they don't enjoy the option to choose the most beneficial dietary selections either due to proximity or economic factors. Poor people face challenges when it comes to transportation. Just like the rest of us, they need to move from point A to point B on a regular basis. They appreciate reliable options. At times, most of the time, they don't enjoy such options. Public transportation in Dallas is a real resource, but it remains underdeveloped in many parts of the city. And, the stories I could tell you about poor folks and old, worn out, broke down cars! Poor people appreciate nice clothes and various expressions of fashion. Again, they just can't afford to make the same choices as those of us with money. Poor people would love to land better jobs, but many cannot due to a lack prerequisite training and education. Deficiencies like this can be traced back to the limitations imposed by the realities of poverty, not to mention the systemic injustices at work in our educational institutions and funding mechanisms supporting both the education process and potential students. In short, I've learned that if poor folks are different from me, most of the differences relate to differences in opportunity and choice, usually connected to some sort of built in advantage or privilege. Sure, I've made fairly good use of all of my advantages and privileges. But I forget the real benefits of my privilege to my own peril when it comes to understanding my friends and their families who must deal with poverty as a central part of their lives. The sacred writings of Judaism point toward a society devoid of poverty. However, there should be no poor among you, for in the land the LORD your God is giving you to possess as your inheritance, he will richly bless you, if only you fully obey the LORD your God and are careful to follow all these commands I am giving you today. By the morning of Friday, February 12, the DFW Airport weather station had recorded 12.5 inches of snow on the ground in Dallas, Texas! The beautiful snow fell all day long the previous day. I've always loved snow. But after Friday, I know I'll never look at snow the same, ever again! Enjoy the shots below from neighborhood and Downtown Dallas. Recent conversations here about the "doing of history" prompt me to share the following amusing but instructive clip. This fanciful report demonstrates the difficulty of interpreting primary sources related to any historic event, movement or group of individuals. History is always about interpretation and availability of primary sources. No one "does history" apart from their own personal context, perspective, biases, and understandings. While the YouTube spot is intended to be humorous, it also serves well to press upon us all a bit of humility when it comes to our certainty about historical events and their interpretation. Central Dallas Ministries and our great partners from building communityWORKSHOP are applying for $1.47 million from the Corporation for National and Community Service (CNCS) during the current 'National Direct' competition for AmeriCorps programs. The legal applicant is CDM and we are considered a new program, CNCS has set aside 15% of funds for new applicants. The $1.47 million in federal funds will be matched with $750,000 in local funds and will support 193 AmeriCorps members in Dallas and 135 members in New Orleans! In Dallas, the grant will support the CDM food distribution expansion and building communityWORKSHOP's Dolphin Heights project. Few realize that our Dallas service area as defined by congressional districts is the 2nd hungriest in Texas and 29th nationally? Our metro area remains one of the most affluent in the U. S. Amazingly, in a recent survey, 26% of residents said yes, they had been unable to obtain needed food at least once in the last 12 months. The state of Louisiana ranks 5th in the nation in hungry residents and New Orleans stands at 8th among 100 major metro areas. If we are successful, under this grant, The Feeding America food bank of New Orleans will place 35 AmeriCorps members throughout their 23 parish area to increase capacity at local food pantries, 20% of whom rely solely on volunteers. Also, our grant will support the Tulane City Center at Tulane University (I'm proud to say I am Class of 1986!) to bring their GREENbuild program to scale, a program that works to build sustainble housing in the city. A properally weatherized home can save a poor family $850 in energy costs annually. This inner city effort will recieve 5 year round and 70 summer AmeriCorps members. We are anxiously awaiting word about the outcome of our grant proposal. CDM could be expanding to New Orleans! Exciting prospect! Uncle Sam Needs You! Join the Census Team for 2010! The U. S. Census Bureau continues to recruit employees for the Census that will begin April 1. If you know anyone that is interested please have them call 1-866-861-2010 or they can just show up to one of the screenings, but it is preferred that they call. 2010 blasted off for us. Thanks to American Recovery Act funding, we have been able to assist scores of families with rent and utility assistance that, undoubtedly, has kept many in homes and off the tough Dallas streets. We're very grateful for our partnership with the City of Dallas (fiscal agent for the federal funds) that allows us to meet so many really great families who are trying hard to stablize in the down economy. During 2009, our Resource Center (Food Pantry) distributed 1,835,114 pounds of grocery products valued at $2,734,320. 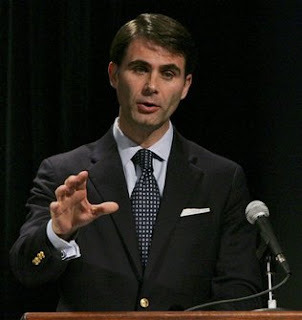 Agapito Perez told me recently that he intends to distribute at least three million pounds during 2010. Based on our January numbers for 2010, we're on pace to distribute twice as much as during 2009. I pray for the day when we can close the Food Pantry. But in the meantime, we open our doors daily to receive and welcome our neighbors and friends who look to us as a partial solution to the challenging puzzle of economic survival in the inner city. The people make it all worthwhile. It's all about the wonderful people. In teaching American history to university students who've taken classes here at Central Dallas Ministries, I've always used Howard Zinn's classic A People's History of the United States as one of my textbooks. Zinn told the story of the United States from the "underside." He wrote from the grass up, rather than from the top down, as is typical of most texts available to students and teachers. To be sure, reading Zinn challenges many of our traditional assumptions and popular myths. Howard Zinn died last week. He will be missed. His footprints will continue to guide those seeking truth, justice and unity as a people. Who Dat? Saints bring win home to New Orleans! 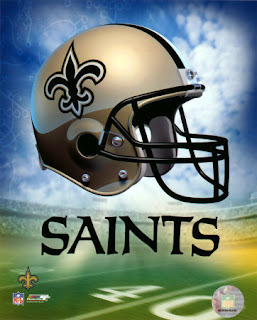 The New Orleans Saints won Super Bowl XLIV over the Indianapolis Colts 31-17. The game turned out to be a hard fought, entertaining affair for all who watched. Both teams played well enough to win. As far as the game itself, I wouldn't have been too upset to see another son of New Orleans, Peyton Manning bring the trophy home for the Colts. While living in New Orleans, we'd see the Manning family eating at a local cafeteria after church on Sundays. Peyton and Eli were just little boys at the time. Archie quarterbacked the Saints. But, this Super Bowl was much more than just a football game. You could see it on the faces of all of the Saints players. The post-game comments quickly turned to bringing home a win to their city, a city badly in need of a boost, of a win. The Saints' owner declared that the win meant that New Orleans and all of Louisiana was back! I'm not sure about that, but I do know that watching the game from start to finish hooked my emotions way beyond the game or the venue or the event. I thought all the way from kickoff to final whistle mostly about a great American city still in need of my concern and richly deserving my devotion and loyalty. Something about that crazy, wonderful city. Once you've tasted its rich life, its wonderful people and its historic culture, you just can't get it out of your system. Thanks, Saints! Your city needed that, and so did the rest of us who love it just like all of you do. Dr. Jim Walton, DO, is a dear friend. We've been working together on community health projects since 1997. As the Chief Health Equity Officer for the entire Baylor Health Care System, Jim devotes his life to health outcome improvements and driving disparities of care out of our community's health care experience. Jim has been instrumental in helping Central Dallas Ministries build our Community Health Services division. Yesterday, the number of people that visited the outpatient clinic increased dramatically....we think because of our "house calls" from the day before. The amount of fear in some of the people is very difficult to deal with....the idea of seeing a doctor after these painful injuries concerns them enough that some choose to stay home under their make-shift tents....their neighbors are very supportive as you might guess and the community support around victims is obvious everywhere I went in the villages.....the randomness of which house collapsed and which didn't is also fascinating....same with the severity of injuries of people who had walls or blocks of cement fall on them....the idea of random fate seems prevalent, but the community's response of supporting their victims is everywhere. The Haitians are resilient happy people....while we cared for the post-op patients late at night, I got a chance to get to know them better, seeing their graciousness and gratitude for any measure of kindness that we showed to them...they sing together in the port-op ward at times, comforting one another (and the care-givers). Teams of relief working continue to flow into Haiti. We will have another Austin Texas team replace us on Saturday. This was quickly arranged in the lasr 2 days by the mission here, with a focus upon changing the mix of medical providers from surgical to more wound management (surgical debridement, IV and oral antibiotics, dressing changes, etc). In another four to six weeks we will need to focus on cast removals and rehabilitation of weakened limbs. One of the greatest needs Haiti will have in the intermediate phase of this disaster is the wound care for all of the amputees, fractures with open sores and lacerations that weren't suture due to infection, etc. Additionally, rehabilitation for all of the orthopedic trauma and prosthetics will be a huge opportunity for helping people (particularly the children and young adults) get back to their lives. We should all consider working with Haitian non-profits to build regional rehabilitation/prothsesis and wound management centers could be established in multiple locations around the capital and the countryside to help Haiti....along with rebuilding homes, schools, churches and hospitals with more stable and secure building techniques. Let me close by saying that I am very excited to come home (we hope to leave this afternnon). The intensity of the work of immediate relief (not to mention the amazing sites, sounds and smells) is difficult to sustain for long periods....our team is exhausted (7 flew home yesterday on a hastily arranged flight) and waiting anxiously for the replacements to arrive. It goes without saying I think that I am leaving with the desire to return as soon as possible to help in these efforts during the long road to recovery. The Haitian people love to sing about their love for God, and it is not uncommon to hear those sounds around here as well. They have taught me to be more thankful and to see God's hand even in suffering. It is these moments that can teach us all about how we might bring our faith into action. In June 2005, my best buddy, Dan Hopkins and I ran in the Midnight Sun Marathon in Anchorage, Alaska. What an experience! For some stupid reason we planned our trip so that the race came at the end of our week. Bad move. Not good to board an airplane back to Dallas the day after enduring 26 miles. Among the week's activities was a fishing trip. We were after big salmon and we found them. We flew into the back country, landed on the river and stepped from plane to boat for a half-day of fishing. Within half an hour I had landed a 26-pound fish. I must say, I was feeling pretty good. After about another 30 minutes of watching Dan try to catch something, I was beginning to feel sorry for him. That is, until I watched him haul in the largest fish of the season to that point: a 56-pound monster (pictured above--er, the fish is on the left!). I really was proud for him. It was a thrill to watch! But, I must add, he keeps bringing up that blasted fish. As a matter of fact, he sent me the picture again just last week. I think he's afraid that I'll forget. Not a chance. Nice fish, Dan. Real nice fish. 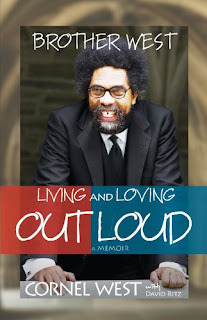 Gerald Britt turned me on to Dr. Cornell West's new book, Brother West: Living and Loving Out Loud. No doubt worth a careful read. Income inequality, economic gaps and social dysfunction. . .
For a fascinating and very important interview Big Think interview with Dr. Kate Pickett, Epidemiologist, University of York, click here. If you decide to watch the interview via the link, be aware that she is answering questions that appear on the screen during the interview and that break up her comments. The information shared here is extremely important as we think about income inequality and the urban centers of the United States. One takeaway: whether we like it or not, we're all in this life together. Kate Pickett: I’m Kate Pickett. And I’m a Professor of Epidemiology at the University of York in England. Question: What is the relationship between economic growth and life expectancy? Kate Pickett: What we find is, in the rich developed market democracies, there’s no longer any relationship between average levels of income in a country and life expectance. So, you can have a country like the USA, or Norway, that’s twice a rich as another country like Greece for instance, and that doesn’t seem to affect life expectancy at all. And the same is true of happiness. Happiness isn’t related to average levels of income in a country either. Now, that’s not true of the developing world when you don’t have enough, when people are lacking food or shelter, or the basic material necessities. Then economic growth is really important. But in our rich, developed democracies, it no longer makes any difference. So, we seem to have come to an end of what economic growth can do for us in terms of life expectance, happiness, well-being and that sort of thing. If you look at the United States, over the past few decades, you’ve become twice, three times a rich as you used to be, levels of happiness haven’t improved at all. Question: How does social inequality affect our health? 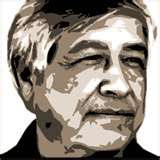 Kate Pickett: I think this is where it helps that Richard Wilkinson, my co-author and I, we’re epidemiologists, and so we study levels of population health. And one thing we really learned over the past 30 years in epidemiology is the importance of psycho-social factors for health. Things like low social status, or social affiliation, social networks, whether or not you have friends, and the stresses of early childhood. All of those things have turned out to be really important for health. And we have quite a good understanding now of the biology of chronic stress. So, all of these things are working as stresses, low social status, lack of friends or social networks, stress in early childhood. And chronic stress affects our biology, our physiology in lots of different ways. It affects our immune system, our hormonal responses, it affects our cardiovascular health. And that’s quite well understood. And so we have also known for a long time that the people at the bottom of society, the poorer people in our societies, people living in the most deprived neighborhoods have much higher levels of stress and much worse health than those who are more affluent or have higher social status. Question: Is there a threshold for when economic growth stops affecting life expectancy? Kate Pickett: Yeah, it’s not so much about the threshold, the threshold changes over time. It’s really just seeing that although life expectancy continues to improve over time, that’s not related to average levels of income anymore in the rich countries. Instead, what we find is really important is the level of income and equality that is the gap between the rich and the poor. That’s what seems to matter these days for our health and social well being. Question: Why are humans prone to developing unequal societies? Kate Pickett: Well, I think we’ve lived in every kind of society. I mean, for a lot of our existence as human beings, we’ve lived in fairly egalitarian, hunter/gather societies. But we’ve also lived in very hierarchical tyrannies as well. We clearly can manage to exist in both and develop all kinds of different societies. Why hierarchy seems to matter, why status differences matter so much and so the gap between rich and poor matters, is because as human beings, we are very sensitive to social relationship. We have an evolved psychology that makes us very aware about how others judge us. If you think about it, some of the most difficult things to do, or the most potentially embarrassing situations wherein, those where other people can judge us negatively. Rather like what I’m doing now, which might go out and been seen by hopefully thousands of people and they might think I’m doing a good job, or a bad job, and being aware of that can make us feel very embarrassed, be very aware of how others judge us, and that really affects our psychology and our biology in very profound ways. So, if we’re looking at societies where the social distances between people are bigger as they are in unequal societies, there’s just more potential for all of us to feel we are judged negatively by others and to feel that our status really matters, that it’s really important. Question: What is the Social-Evaluative Threat? Kate Pickett: Social-Evaluative Threat that’s a term psychologist’s use. There are two psychologists who looked at all the studies that other researches have done on what kind of stresses most reliably raise our cortisol levels. What kinds of stress most reliably stress us? And they usually do this kind of work by inviting students into the laboratory and asking them to do unpleasant tasks. The might ask them to solve math problems or to write about an unpleasant experience, or be videotaped doing something. And the question these researchers asked was, which kind of stress most reliably raises our stress hormone levels? And they found it was ones which contained a social-evaluative threat. So, it’s not so much having to do math problems, it’s having to read out your real marks at the end and your scores and share them with other people. It’s tasks in which other people can judge you negatively, that most reliably make you feel stressed. Question: How does status anxiety link with consumerism? Kate Pickett: Well, in our modern societies, we don’t really need to consume more stuff for basic survival. We consume, we shop, and we want to earn more money to show our status. And so, owning things that demonstrate that we are keeping up, keeping up appearances that show we are a valued member of society, that’s why we consume so much. In more unequal societies that competition for status is more important. And so, in more unequal societies there is a stronger drive toward status competition and consumerism. All of those things matter more, matters more to earn more money, not because you need more money for basic things, but you need to show your status relative to other people in society. Question: What is the link between greater inequality and public health? Kate Pickett: We look at more and less equal countries, and let me describe what I mean by that. We use income equality as a measure of how hierarchical a society is, how unequal it is. And so we’re comparing – we’re looking at countries and looking at how much richer the top 20% of the population are compared to the bottom 20%. It’s ratio of the top fifth to the bottom fifth of incomes. And in more equal countries like Japan, Sweden, Denmark, Finland, the top 20% earn about 3 ½ to 4 times as much as the bottom 20%. And in the more unequal countries like the UK, where I’m from, the USA, Portugal, Australia, Singapore, it’s 7 ½ to 9 times as much. So, that’s the scale of inequality that we’re looking at. And what we do in our book is take that scale of income differences and look to see how it affect a range of health and social problems in different societies. And we find that more unequal societies have lower levels of trust, higher levels of mental illness, worse physical health, more obesity, their children do less well in schools, there are more teenage births, more violence, as you just mentioned, a greater percentage of the population is in prison and social mobility is lower as well. So, everything seems to get worse in more unequal societies. This is a general social dysfunction. And because this is politically quite sensitive, we thought we’d test it all out again in separate setting. So, we compared the 50 states of the USA as a sort of independent test, and again, we look at levels of income and equality in the 50 different states and compare that tot heir level of health and social problems. And it’s a remarkably consistent picture. So that all those health and social problems are worse in the more unequal states. And we think this human sensitivity to social relationships is the underpinning cause of all of those problems. You asked about violence, and in a more unequal society, of course, there are more people who don’t have access to the kinds of things that give us status, money, jobs, cars, employment, those sorts of things. And in a society where social judgments can be harsher, those at the bottom are going to be much more sensitive to threats to their status. And we know from the work of prison psychiatrists, for instance, that being disrespected, or humiliated, or potentially losing face is the most common trigger for violence of all. So, I think that’s the link between greater inequality and high levels of violence. And the differences are huge. If we compare, for instance, the American states and Canadian Provinces, in the more equal of those, there are about 15 million, sorry, 15 murders per million residents per year. And in the more unequal, it’s about 150. So that’s a ten-fold difference, ten times the murder rate in the more unequal places than the more equal ones. Question: What is the connection between sustainability and equality? Kate Pickett: Yeah. I mean, I think this goes back to the idea I was talking about earlier that, in a sense, in the rich developed countries we’ve come to the end of what economic growth can do for us in terms of better quality of life. We also know that we’ve got to constrain economic growth to deal with the challenges of climate change. And we need to develop more sustainable economies. And we think that equality has an important role to play here in several different ways. The first is the increased status competition that I talked about in more unequal societies. That drives consumerism. And we know that high levels of consumerism are a major cause of high levels of carbon emissions and that we need to rein in consumerism to cope with climate change. So, I think more equal societies will be better places to be able to do that because there will be less drive to consume. Also because we find that levels of trust are much higher in more equal places, social cohesion is better. People are more willing to act together for the common good, there’s a greater public spiritedness and people are less out for themselves. And we see that in more equal countries, this translates into the way the population acts with respect to the planet and with respect to other countries. For instance, more equal countries donate more in foreign aid. A greater portion of their national income is given in foreign aid and they do better at recycling across a whole variety of waste goods. And in more equal countries, business leaders are more likely agree that their government should comply with environmental regulations. So, there are all kinds of ways in which more equal societies seem better able to act for the common good. But there’s a third thing as well, and I think this is really important because I think a lot of people have thought in the past that we need a certain level of inequality to drive aspirations and creativity. And we’ve actually found that using a sort of proxy measure of innovation, we use the number of patterns grounded per head of population, sort of a measure of innovation and creativity, and we find that there is a significant tendency for more equal countries to have a higher level of patterns grounded per capita than the more unequal ones. Probably because in more unequal societies educational achievement is lower and social mobility is lower. So, they’re wasting a much higher proportion of their potential human capital. So in terms of consumerism, acting in a public spirited way, and being creative and innovative, it looks as if greater equality might be a very necessary precondition as far as coping with climate change. Question: What practical steps can countries take to enhance equality? Kate Pickett: I think the first thing to note is that not only do we find that inequality is related to a whole range of social problems, we also find that it affects the vast majority of the population, and I think that’s really key to getting greater support for measures that would make our societies more equal. Greater equality won’t just benefit the poorer in our society; the benefits seem to extend all the way up the population so that even among the wealthier, more educated, affluent sections of our populations, they are healthier and do better in a more equal society. So, I think that’s really key. But we also find that it is the level of inequality that matters for all of these health and social problems and it doesn’t seem to matter how that greater equality is achieved. So we often point to the contrasts between Sweden and Japan, for instance. Both of them are at the more equal end of the spectrum and they do very well in terms of health and social problems. But they achieve their greater equality in very different ways. Sweden has quite large income differences to start with and redistributes through taxes and benefits, whereas Japan has smaller income differences to start with. And that doesn’t seem to matter, it’s the level of inequality of equality that they achieve that matters. And we find the same contrast actually among the U.S. states. So, we have two states bordering each other, Vermont and New Hampshire, culturally very alike, but New Hampshire has very low levels of state expenditure and taxation and Vermont much higher. So, New Hampshire looks a bit more like Japan and Vermont a bit more like Sweden. But because they are among the more equal states, they do very well in terms of health and social problems. Question: Why do Cubans live longer on average than Americans? Kate Pickett: Sure. If you look at the international rankings of life expectancy, yes, the U.S.A. does particularly badly among the rich developed countries, which is fairly recent. You used to be one of the high performers in terms of life expectancy. And it’s interesting; actually, that the U.S.A. and Japan have rather swapped places after the Second World War and Japan was a very unequal country with very poor levels of life expectancy, whereas America was very equal and performed very well internationally with life expectancy. And since that time, you’ve swapped places. So that America has become much more unequal and slipped down the rankings of life expectancy and Japan has become much more equal and now has the highest life expectancy in the world, and crime rates have come down, etc. And there are countries that are much poorer. You mentioned Cuba, but we can also look at Costa Rica, and some of the other Latin American countries and some of the poorer European countries, such as Greece that achieve life expectancies as high, or higher than the United States without that higher level of affluence. Question: Is the U.S. inherently unequal? Kate Pickett: Although the U.S.A. does come very near the top in terms of income inequality today among the rich capitalist countries, only Singapore does worse in our dataset. This isn’t a sort of fixed American problem. In the past, after the Second World War and right up through the 1970’s, you were one of the more equal of the western developed countries. And so, it’s not anti-American to suggest that American society might become more egalitarian, more equal. That’s actually very characteristic of your fairly recent past. And it’s certain true of the founding principles on which your country or society is based. And so, although I think Americans have perhaps gotten used to high levels of inequality in the very recent past, you do have a long tradition of a more egalitarian ethos and of smaller income differences in your society. And so, I think the American Dream isn’t dead, although levels of social mobility are much slower here, educational performance is suffering, you can look to your past, I think, to recover that hope and that optimism and see it as a very true American ambition to have the kind of society that offers a fair opportunity for everybody. So much for Calvinism, positive mental attitude and class hatred. . . Tomorrow, my friend Randy Mayeux will present a synopsis of Bright-Sided: How the Relentless Promotion of Positive Thinking has Undermined America by Barbara Ehrenreich at this month's installment of the Urban Engagement Book Club, a CDM public policy initiative. Ehrenreich authored the remarkable book Nickel and Dimed: On Not Getting By in America. For centuries, or at least since the Protestant Reformation, Western economic elites have flattered themselves with the idea that poverty is a voluntary condition. The Calvinist saw it as a result of sloth and other bad habits; the positive thinker blamed it on a willful failure to embrace abundance… But the economic meltdown should have undone, once and for all, the idea of poverty as a personal shortcoming or dysfunctional state of mind. The lines at unemployment offices and churches offering free food include strivers as well as slackers, habitual optimists as well as the chronically depressed. When and if the economy recovers we can never allow ourselves to forget how widespread our vulnerability is, how easy it is to spiral down toward destitution. The threats we face are real and can be vanquished only by shaking off self-absorption and taking action in the world. Build up the levees, get food to the hungry, find the cure, strengthen the “first responders”! Poor folks as "stray animals". . .say what? Jesus: "The Spirit of the Lord is upon me, because he has anointed me to bring good news to the poor" (Luke 4:18). Jewish Wisdom: "By insulting the poor, you insult your Creator. . . . the Lord blesses everyone who freely gives food to poor" (Proverbs 17:5; 22:9). South Carolina Lt. Governor Andre Bauer: "My grandmother was not a highly educated woman, but she told me as a small child to quit feeding stray animals. You know why? Because they breed! You're facilitating the problem if you give an animal or a person ample food supply. They will reproduce, especially ones that don't think too much further than that." Katrina Hobbs "grew up" and went on to college from Central Dallas Ministries. She now serves as a member of the CDM AmeriCorps team. Her assignment is working to encourage children to develop a real love of reading. One secret to her success is selling books!